Come on out for a day of fun and a round of disc golf, all to support a good cause. All profits generated will be given to Habitat for Humanity. $40 registrations gets you a players pack that includes 3 unreleased discs that must be used in the round, a t-shirt, and mini marker... everything you need to play! With a flex start time between 9am & 4pm, grab some friends and come out whenever it is convenient for you. Since you will be given everything needed, this a perfect event for new players, or even players who have never played before. Invite a friend and introduce them to the sport. If we can get 100 people to register, the winner will walk away with a new Dynamic Discs Marksman Basket. Pre-register by July 21st to guarantee yourself a pack, only a very limited number of packs will be ordered for day of sign ups. 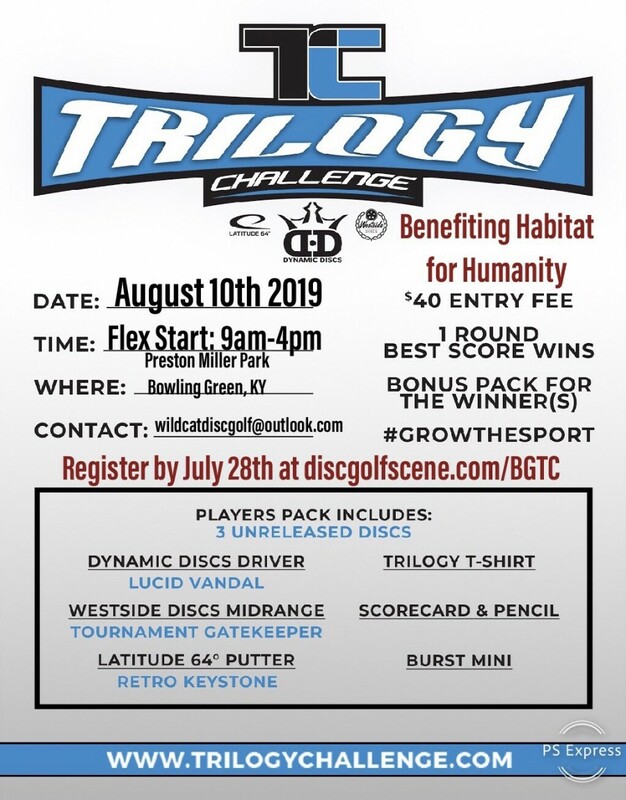 If you throw trilogy plastic, come out and be one the first to get your hands on 3 new unreleased molds before anyone else... and support a great cause. 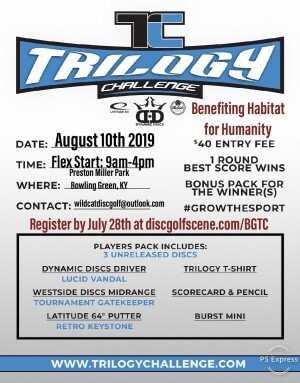 If you don’t throw trilogy plastic, come out and see what all the hype is about... and support a great cause. If you’ve never played before, this is the perfect time to come out and discover the sport... and support a great cause. Discs included in the players pack! WILDCAT DISCGOLF is responsible for all refunds/cancelations. Refunds will be available until pre-registration ends July 28st 2019. No refunds will be issued after this date. - 4:00pm Flex Start - Show up with some friends whenever it is convenient for you and get your round in. Must tee off by 4pm at the latest.